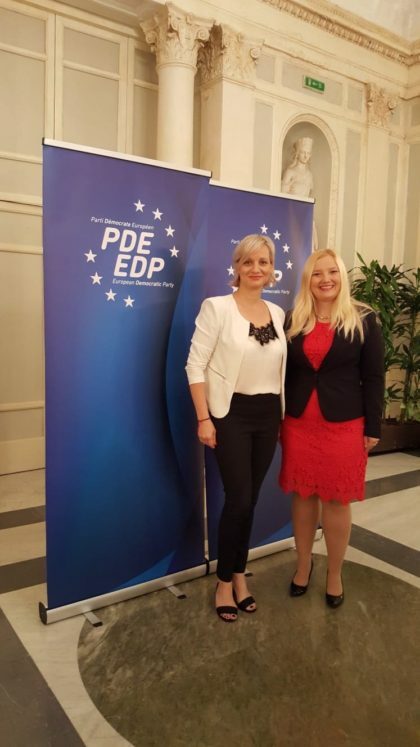 The European Democratic Party, held an enlarged Presidency meeting in Rome on Thursday , 19 July 2018. The main topic of the meeting was the preparation of the 2019 European elections and discussion on the manifesto. Anita Velić Fabijanić, the spokesperson of YDE participated on the meeting. On the meeting many topics were discussed. Some of them are competitivity, innovation, climate change, migrations, refugees, foreign affairs, corruption but also the youth problems. We hope that the youth suggestions will be accepted and that reactions of the presidency are positive.